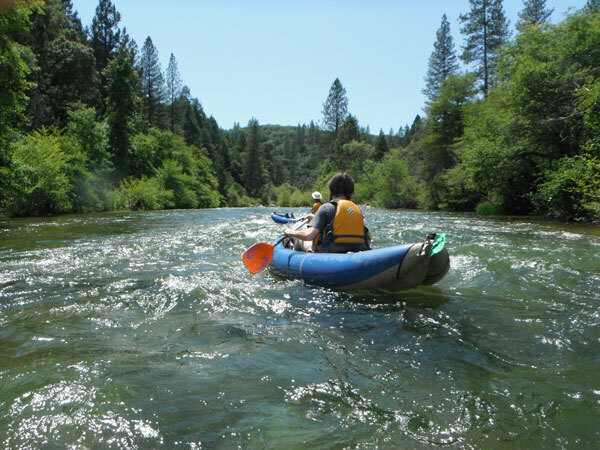 When Nevada Irrigation District (NID) announced in April they were pivoting their focus from the controversial Centennial Dam proposal to updating their Raw Water Master Plan (RWMP), SYRCL (South Yuba River Citizens League) was cautiously optimistic. To support this new direction, SYRCL sent NID a letter requesting the NID Board of Directors cease spending on Centennial efforts while focus on the RWMP (a report that will outline how raw water will be used over the next 50 years in our community). Since our April request, NID has spent more than $700,000 of public funds on property acquisitions and related work--without addressing our request. NID has finally agreed to address SYRCL’s request to cease spending and will vote at a Special meeting next week on Tuesday October 9th. We need to show NID we demand a voice in shaping our community’s water future. PLEASE ATTEND! We must fill the room to show support of SYRCL's request and demand that NID make a formal decision to STOP spending on Centennial while we work towards a true water management solution through the Raw Water Master Plan. Show your support and get involved by joining SYRCL and PARC at a rally before the meeting at 5pm, and stay for the important vote that could shape the future of water in this community for the next 50 years. Register to participate in the event, volunteer in advance, and/or purchase a tee shirt to show your support (wear it to the meeting!) by clicking on the "register" link below. 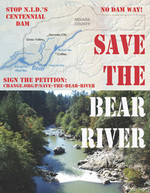 Protect American River Canyons is opposed to this dam. Below are links to find out more. There are many smart alternatives to building an expensive, destructive and ineffective dam. Read about effective ways to save and store water below. Groundwater recharge ponds using Mehrten Formation to increase storage of the North American River Groundwater Sub-basin. Conjunctive Use Collaboration on existing facilities, like Camp Far West, banking the water in the American River Sub-basin, eliminating evaporation and increasing supplies for emergencies and drought. Establish true market values for historic legacy of ditch “ag” water for now used as landscape water for “rural estates.” Ramp into true market value for water. Lining canals or replacing with pipe. NID estimates 10 to 30% water loss from leaking canals in transmission of water to customers. Raw water (ditch water) user-end conservation should be assessed and implemented. Urban water conservation. NID urban use is 280 gpd, very high by state standards. 2015 voluntarily reduced consumption by 38%. Compare to EBMUD at 85 gpd and LADWP at 90 gpd. 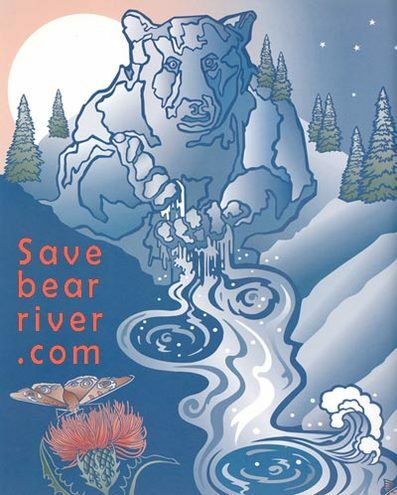 Conservation rate structures.........................................and much more.